In case you haven’t noticed, I’ve added an “Appearances” link to the menu up above here on the site. I’ve started going to more cons, not just as an attendee, but also as a guest, so I figured I needed to go ahead and make a page for that. 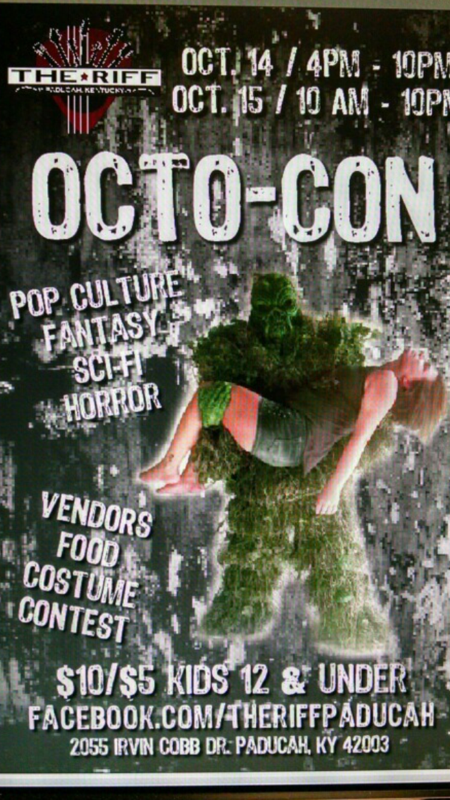 In fact, I’ve got one upcoming appearance this weekend at Octo-Con in Paducah, KY. I’ll be at The Riff on October 14 from 4 p.m. to 10 p.m. and on October 15 from 10 a.m. to 10 p.m. I’ll be in cosplay, of course, and will have books on hand to sell and sign, so please drop by and say hello! I’ve also got a few other cons I’m planning on just attending this year, which are also on the list. And next year, I’ll be a guest at Southern Fried Pop Culture and Comic Con, as well as ConGT, so 2017 is already shaping up to be a good year. I hope to see you all at any of these upcoming events! In the meantime, I’m planning for a trip to Egypt in January: expect lots of blogging about that. I did revisit Paris this past September, but didn’t have time for blogging, which is an unfortunate side effect of traveling with someone else. But it was a very good trip and I posted photos pretty much everywhere. I will blog Egypt, as permitted, because it’s definitely going to be a new and unique experience. I’m also gearing up for NaNoWriMo again this year because Madame Vampire insists that I expand her story. More on that as it develops. Also, in case you’ve been wondering, I no longer write for Tech Times, but now, instead write for TheThings.com: be sure to check the site out.